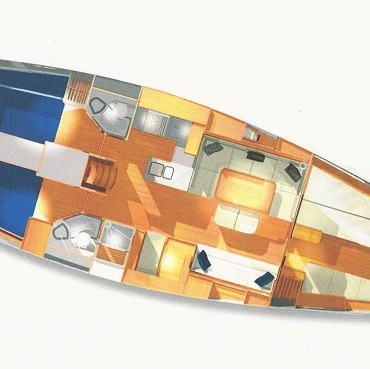 Lutine can sleep up to 12 across 3 cabins, the saloon and the forepeak. 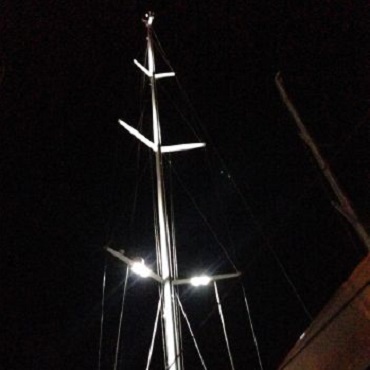 What's more with an onboard water maker and generator, well equipped galley and heating/aircon throughout you can be sure of civilized living whether alongside in a marina, at anchor, or on an offshore passage. Lutine is equipped to the highest standard - for both sailing and relaxing - from its comprehensive sail wardrobe that ensures competitiveness around the race course to the air-conditioning that keeps you cool when alongside. 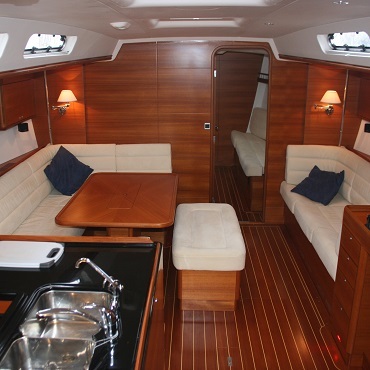 Lutine has it all - designed throughout to make sailing a pleasure - whether racing or cruising.